Incomplete Throughlines explain why this film feels like a short stretched into a mediocre feature. 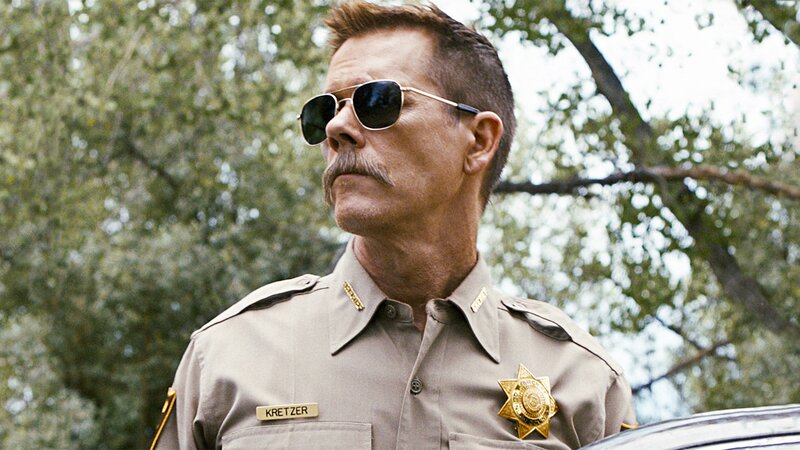 If you want to see a cool Kevin Bacon performance then see Cop Car; don’t bother if you want a cool story. Stylistic and subtle, minimalist in its presentation, Cop Car fails to offer enough Throughlines to function effectively as a story. Cop Car feels like a great short stretched into a mediocre feature. And that’s because most short films don’t have enough time to provide the necessary four Throughlines to tell a complete story. Stories need an Overall Story Throughline, a Main Character Throughline, an Influence Character Throughline, and a Relationship Story Throughline. Leave one of these out and the Audience will sense that something is missing; they will feel cheated. They can often be forgiving within the context of a short film, but a feature length film? Not often. Cop Car gives us the Overall Story Throughline of two boys stealing an abandoned police vehicle—but that’s it. There is a hint of a Main Character Throughline with Harrison and his growth into a brave hero, but like the film itself, that personal Throughline—our key into the film’s events—is sparse and underdeveloped. As a result, we don’t become intimately involved with the narrative and we could care less what happens to these people. His best friend acts as a kind-of sort-of Influence Character, but not really. And without a fully developed Relationship Story Throughline between them, the film lacks the kind of heart the film referenced in many of them Cop Car’s reviews—Stand By Me—has in abundance. Narratives lacking four Throughlines are not stories, they are tales. A simple A to B plot whose only meaning can be appreciated by comparing the end to the beginning. Stories argue that a particular approach is the only approach, regardless of where one enters the timeline of events. Cop Car is a tale from beginning to end, explaining its low ratings and the feeling of incompleteness.